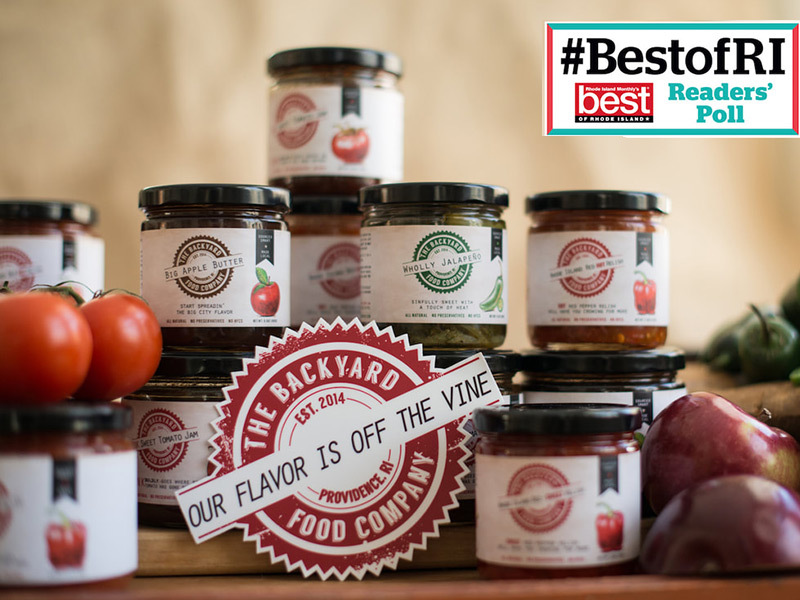 With hard work, dedication, and passion Matt and Louby of the Backyard Food Company have created a successful food business while upholding this simple goal: maintain a low price point while providing high food standards. Read this producer spotlight by guest contributor Kristina Fortini to learn more about this food business in Cranston, RI. Take a peek into Market Mobile. 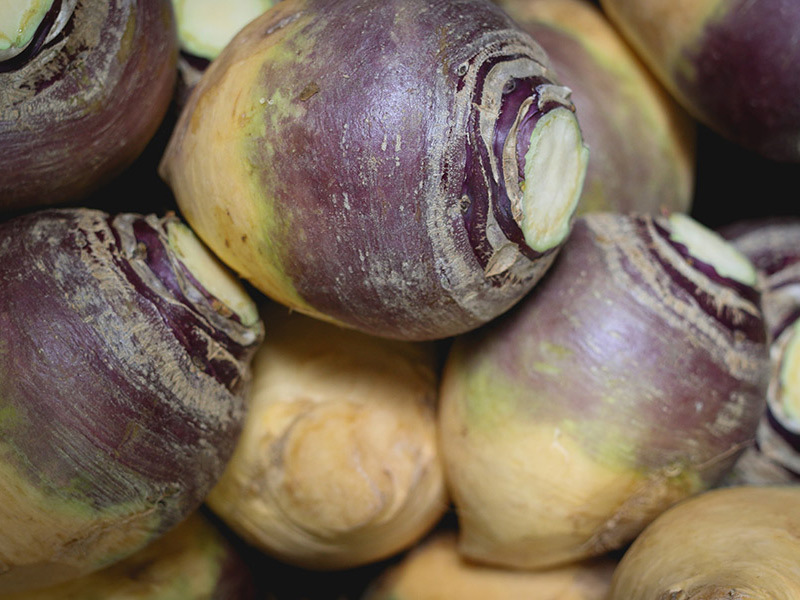 See a few of the many restaurants, grocers, institutions, and other businesses that purchased from local farmers and producers this week, and check out some of the local food on offer like rutabaga from Big Train Farm in North Scituate. 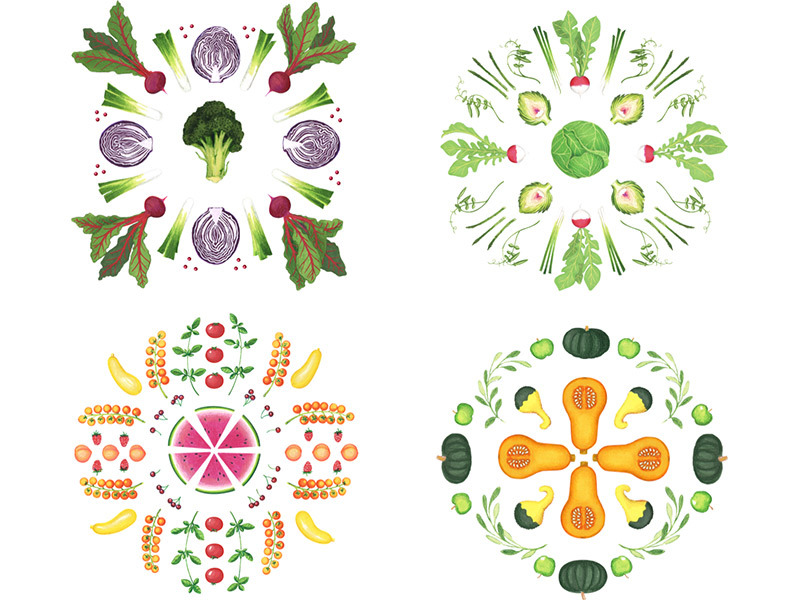 These beautiful “Vegetable Mandala” greeting cards are perfect to send to your loved ones this holiday season. 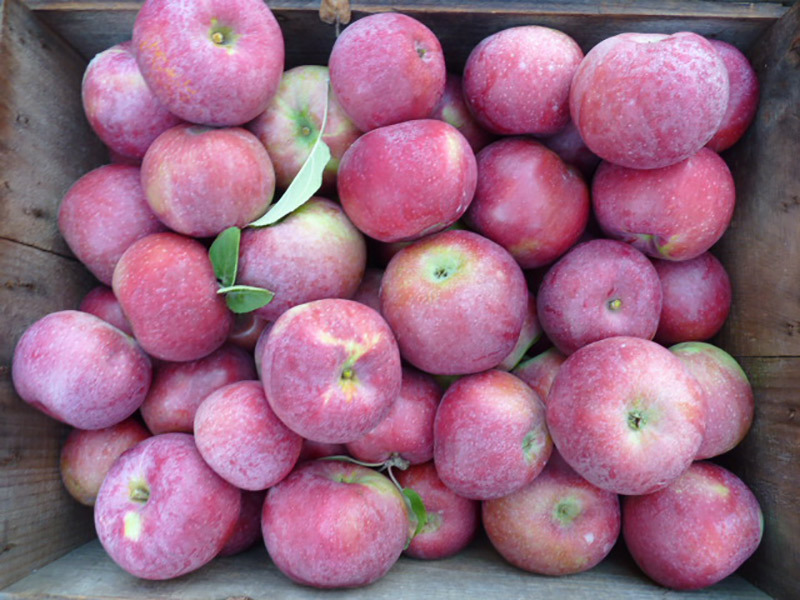 Stop by the Welcome Tables at the two entrances to the Pawtucket Wintertime Farmers Market (999 Main Street and 1005 Main Street, Pawtucket) Saturdays 9am to 1pm! Did you know you can buy Fresh Bucks as gifts? It’s like a gift certificate to the farmers market! 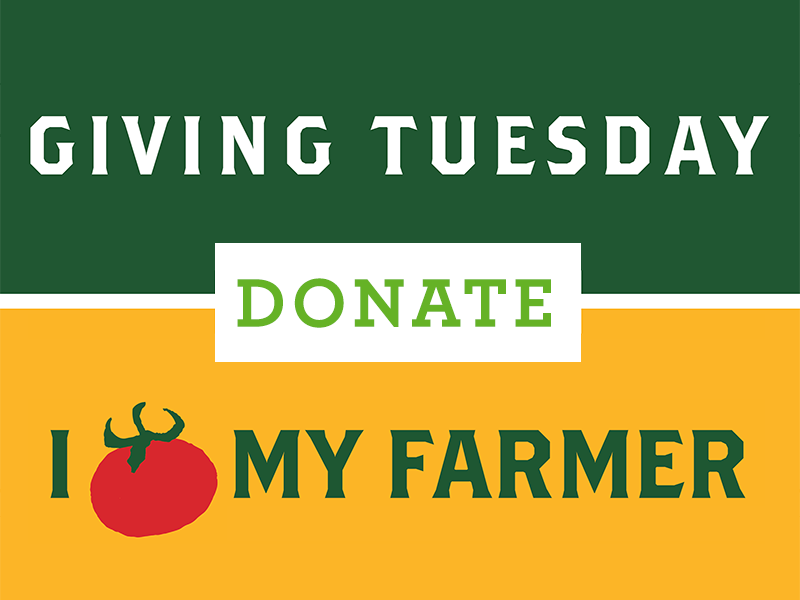 This season, give Fresh Bucks to all the local food lovers in your life and support small New England farmers and food producers. 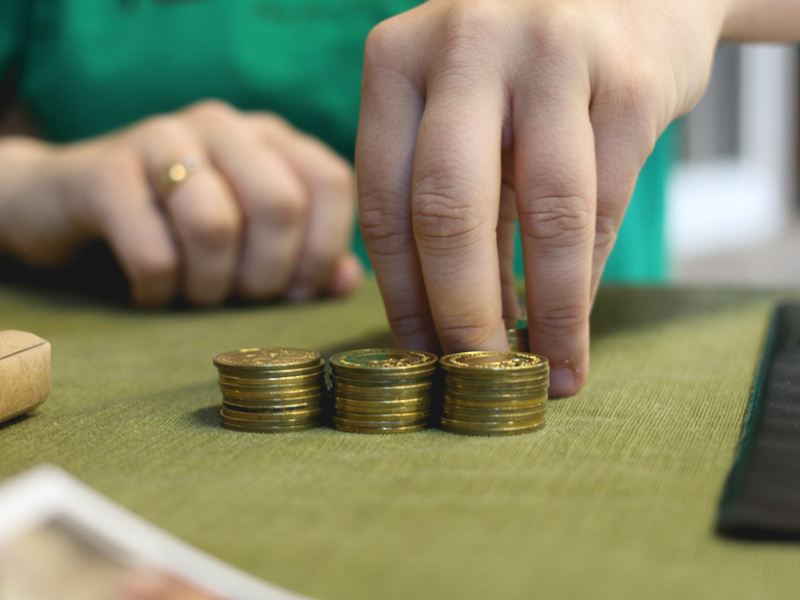 Stop by any Welcome Table at the Pawtucket Wintertime Farmers Market, Saturdays 9am to 1pm, to purchase Fresh Bucks in any $5 increment! The holidays are fast approaching. As you shop for gifts this holiday season, consider hand-crafted, locally sourced items for everyone on your list! Not only will you be giving a taste of New England with every gift, you’ll be supporting our job training program for local youth with your purchase! Saturdays are all about the Pawtucket Wintertime Farmers Market — an indoor celebration of great local eats and community! Join us every Saturday through April in the Hope Artiste Village building on Main St in Pawtucket for a truly memorable experience. 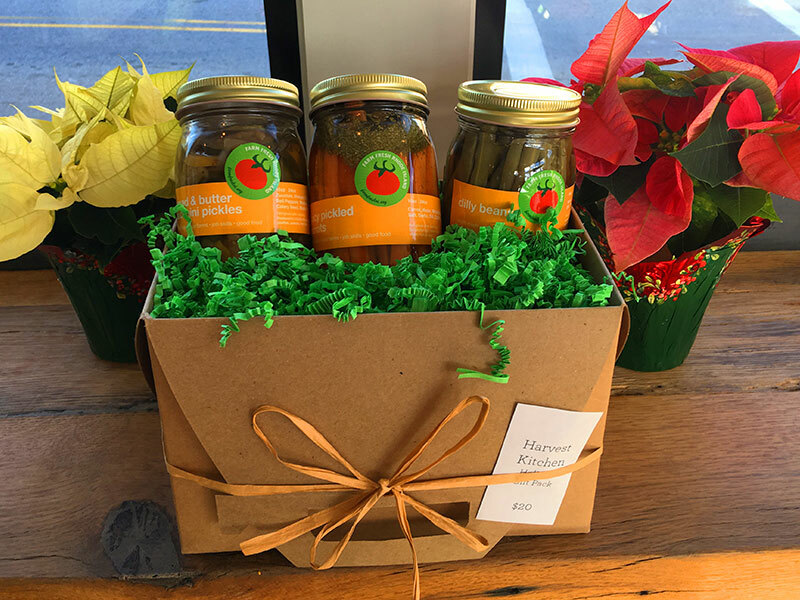 Check out our vendors, market maps, and other happenings in and around the market this week — like great vendor deals and ideas for your holiday shopping! Take a peek into Market Mobile. 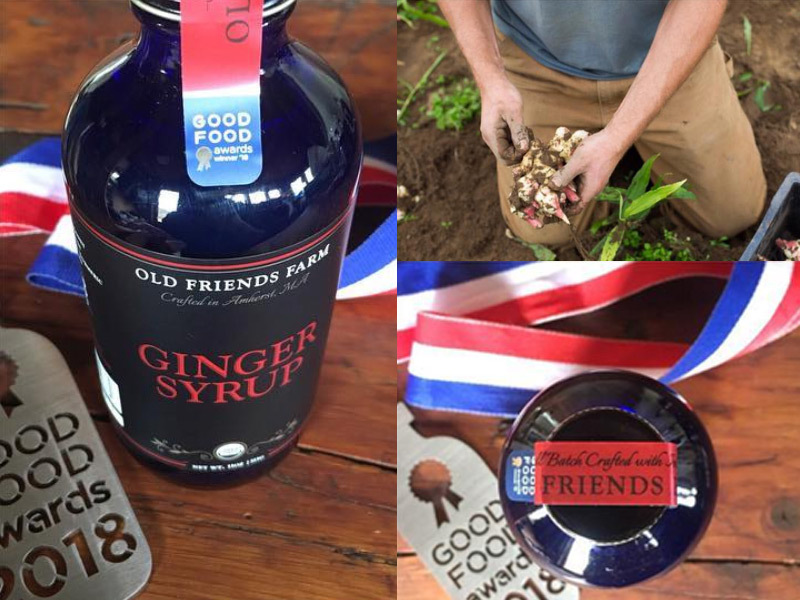 See a few of the many restaurants, grocers, institutions, and other businesses that purchased from local farmers and producers this week, and check out some of the local food on offer like award-winning Ginger Syrup from Old Friends Farm in Amherst, MA. Can’t find what you need locally? 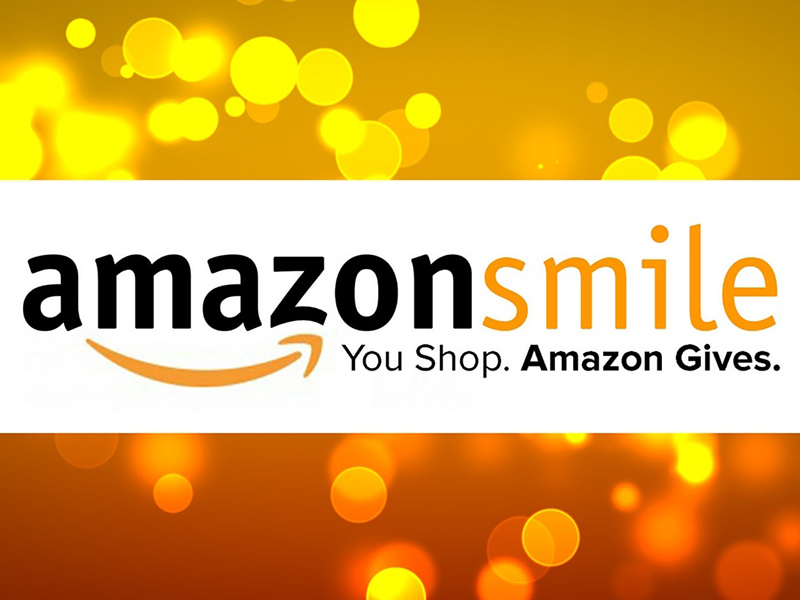 If you shop online, consider using Amazon Smile to benefit Farm Fresh Rhode Island with every purchase! It’s simple. You shop, Amazon donates. 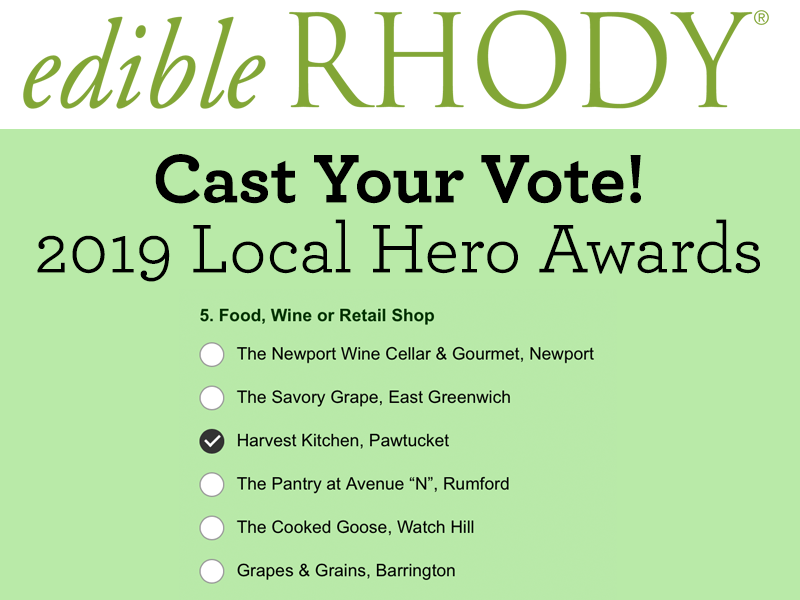 We are honored to have been nominated for the 2019 Edible Rhody Local Hero Awards — vote for Harvest Kitchen now until 12pm January 5, 2019. We are among such great company. Congratulations to all the other amazing farms, chefs, and organizations nominated this year! 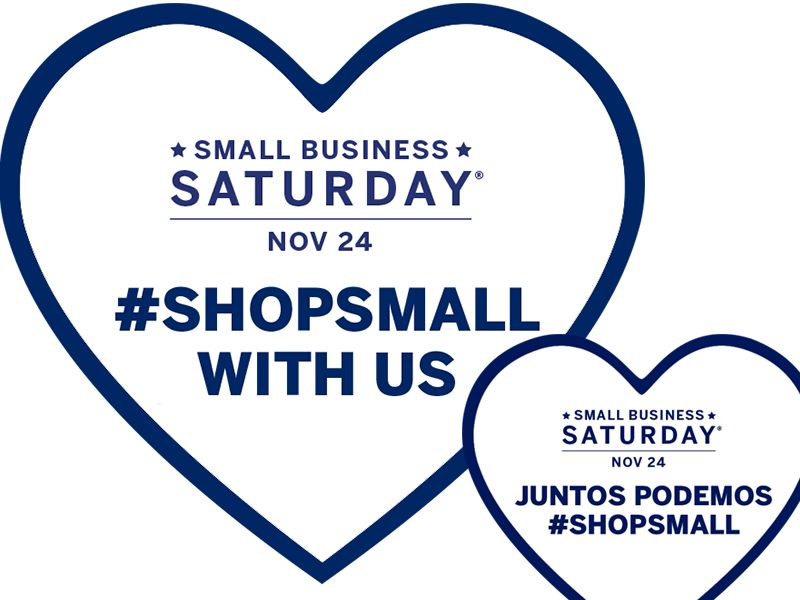 November 24 is Small Business Saturday, and the Pawtucket Wintertime Famers Market is open! Tired of Thanksgiving leftovers yet? Need an activity for the family and holiday guests? Come where the warmth, fun, food, and community is. Take the morning off in the kitchen, and let our prepared food vendors and food trucks do the cooking for you. 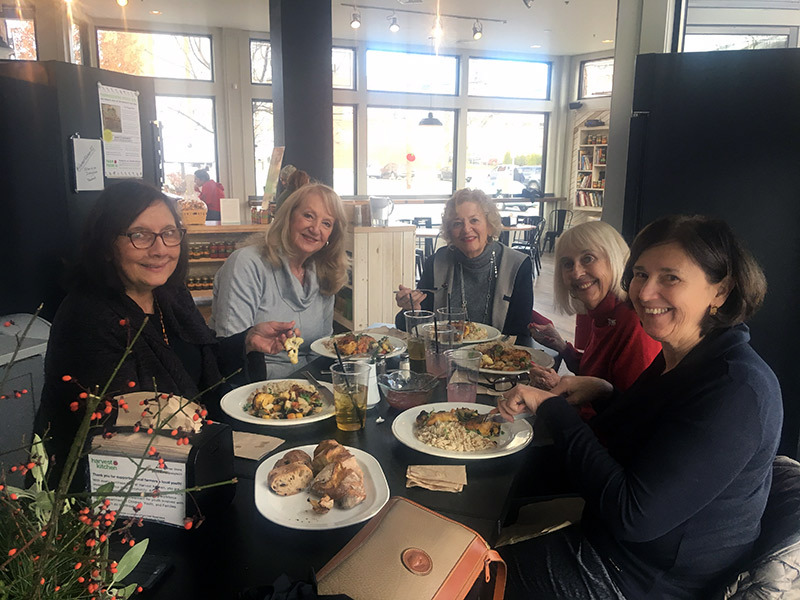 Get out of the house, meet up with friends, and re-stock your pantry after all that holiday eating — and support local small businesses while you’re at it! Congratulations to our longtime customer and supporter, Eli’s Kitchen in Warren, RI! We always enjoy watching Chef Eli and his food shine… now we get to watch on The Food Network! 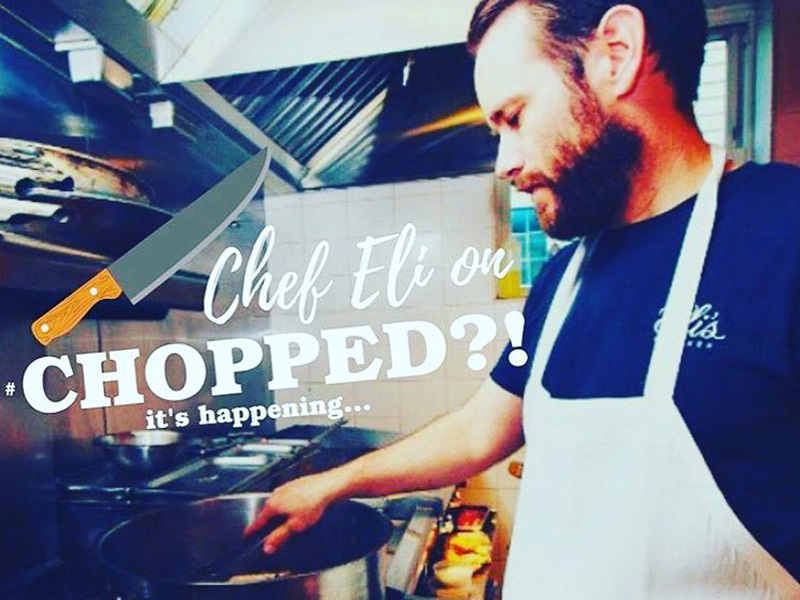 Tune in Tuesday, November 27, at 9:00 pm to see Chef Eli push himself to the limit and lay it all on the line for a chance to become the next Chopped champion! Looking for a place to host your holiday luncheon? Harvest Kitchen has a semi private area that can accommodate up to 10 people. Need something bigger? The entire café is available evenings and weekends and can accommodate up to 50! AmeriCorps VISTA members have been instrumental in shaping and sustaining our organization since its early days. 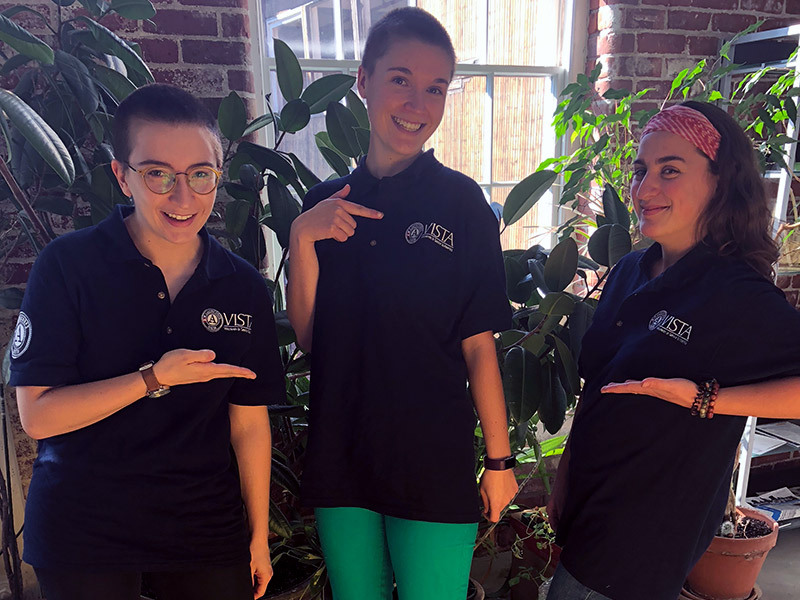 Our current AmeriCorps VISTA members continue on with that tradition, bringing unmatched energy, enthusiasm, and hard work to our team — not to mention creativity and innovative new ideas for approaching our work. Thank you Rachel, Rose, and Liesl! From everyone here at Farm Fresh Rhode Island, we would like to wish you a happy and healthy Thanksgiving. We are grateful to you all, who come together as a community around the appreciation of delicious high-quality foods, and the belief that everyone should have access to the local bounty grown, raised, caught, and foraged here in Southern New England.